Fascinating! Sorry to say that Barbara Rutherfurd's bedroom, despite the rich decorating scheme, seems to lack the joy of St Ursula's room. Perhaps the black & white photography plays a role in that, though. The Haslam room looks wonderful, however. Great to see the ARCHIVE in use...and I remember this one...Baron DeMeyer is surely the one and the Haslam bed today is a dreamboat! So glad you are back to regular posts, you have been sorely missed! 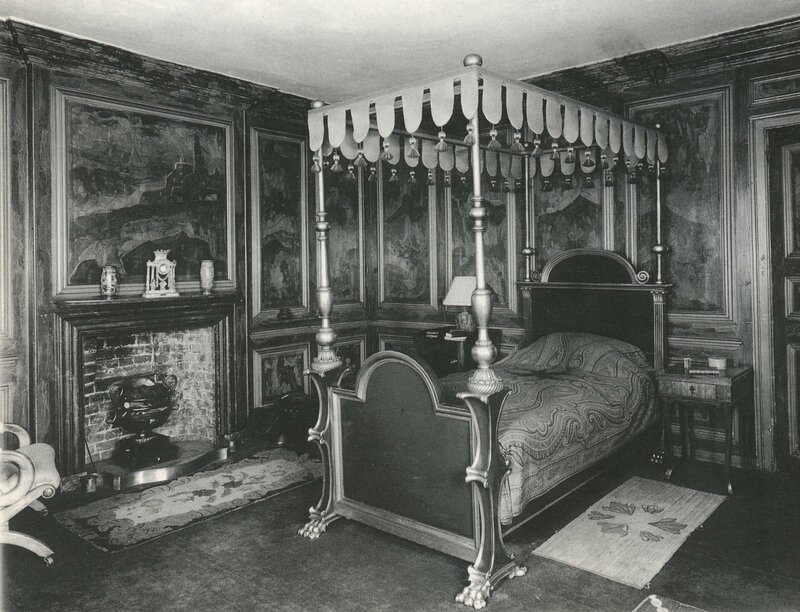 I think the painting (which I have never seen) is really beautiful but the porportions of the bed seem strange to me - artistic license perhaps? I think the Haslam bed is pretty spectacular though and fixes these scale problems. To each his own though! 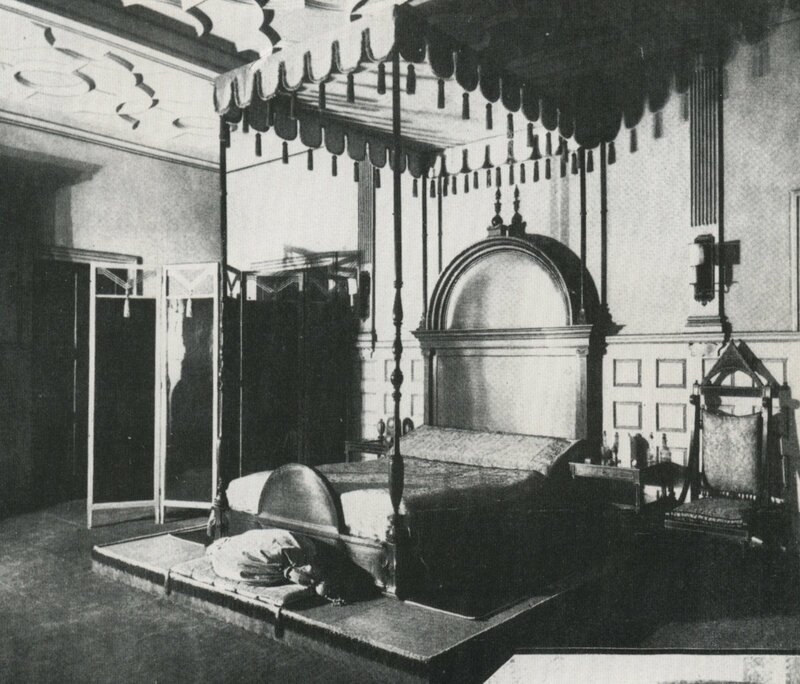 I wonder if the bed is laying in a barn upstate or was demolished with the house perhaps? Divine! The photos are incredible. I'm obsessed with beds and their evolution. Many thanks, Colette (and Nicky, too). Oh, John! It would be nice to see the room in color, that I will grant you. Indeed, Laughing Salmon. To sleep, ere to dream. Thank you, Swan! More archival posts are on their way. ArchitectDesign ... I must see the Haslam bed in person. That must be spectacular. Should anyone learn anything new about either of these posted beds, anything at all, I'd love to know about it. Colette, does Nicky have any records/letters pertaining to the bed? And if, perhaps, Scott designed the Rutherfurd bed? Or how he and Mr Haslam came up with the idea to make this particular bed? Good Lord! I think that the decor would have driven me mad. Although it was masterfully executed. This is kind of amazing, because I saved this post in Google Reader when it was originally published (I am a subscriber of your lovely blog) and then completely forgot about it until the wonders of Google reminded me of its existence. "Often as I lay on the bed, that like St. Ursula’s in the lovely painting by Carpaccio stood on a dais and was covered with a baldaquin, I reflected that there was in [my mother's] love of me something of the creative spirit of an artist - that it was her wish to produce me as a finished specimen framed in a perfect setting, and that my person was dedicated to whatever final disposal she had in mind." 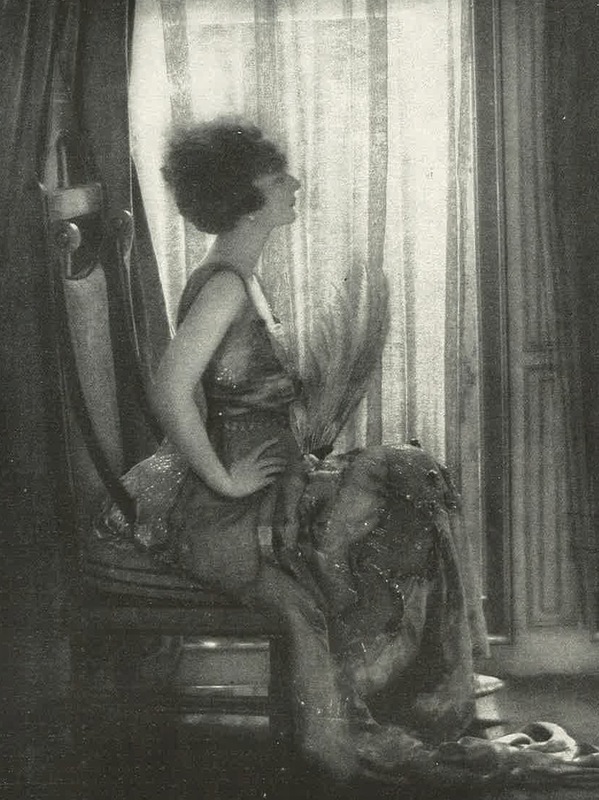 I wonder if there is some relationship between the bed of Barbara Rutherford and that of her stepsister, Consuelo Vanderbilt? My paper doesn't really have anything to do with that (I am using the Vanderbilt-Marlborough marriage and Sargent's Marlborough portrait as a case study for the relationship between the mania for eighteenth-century portraits, collecting in Gilded Age America and British aristocratic identity) but I will let you know if I find anything useful. I definitely would like to look into this in the future. 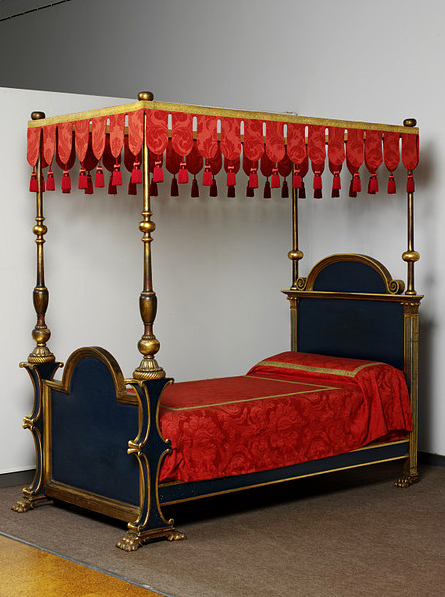 One place to start would be looking a bit earlier, to see if Alva Vanderbilt's designers (Jules Allard et fils, I think) were in fact responsible for this version of the bed - or if there was indeed a second, later version made for Barbara. 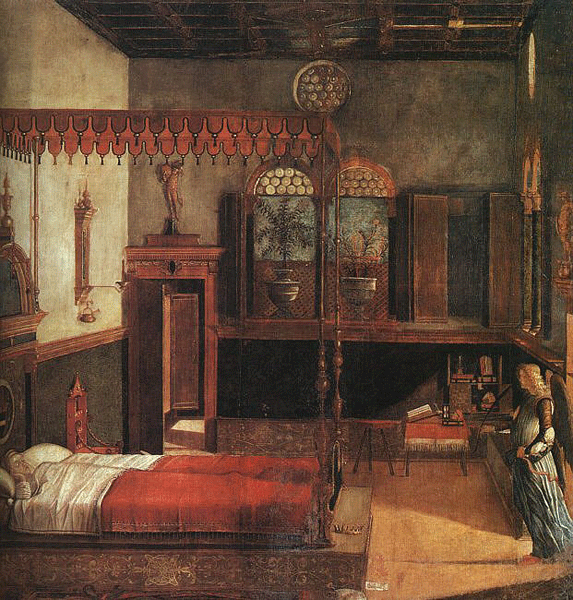 Alva was obsessed with the Renaissance.